Recent Report by Transport Research Wing, Morth-2015 data, says that in every four minutes one accident death occurs in India. Also, it reports that around 1 lakh deaths are recorded from 5 lakh road crashes in India. There has been an upward trend in the number of deaths due to road accidents. This is a matter of concern for all the residents of this country. In this situation Supreme Court words are of great relevance, ‘India can avoid being the accident capital of the world’. These words could boost the government policies for road safety. Over speeding of vehicles contribute to 41 percent of road accident deaths (As per NCRB, ADSI-2015 Report). To tackle this situation, the Central Government along with various State Administrations have decided to limit the speed of vehicles. The speed governors are the most effective tool for handling over speeding. They have proven effective in curbing road accidents across many countries of the world. Road Transport Minister Nitin Gadkari said that the cost of over nearly 4.9 lakh road traffic crashes annually in India is close to Rs 55,000 crore. Over 50 percent of people who lose their lives in road accident are between the age group of 15 and 39. This is a huge loss for India’s man power. The public demands strict implementation of traffic rules, penalties, cancellation of driving licence of defaulters and rash drivers. The speed governor’s role in making the roads safer by avoiding over speeding is very much successful. 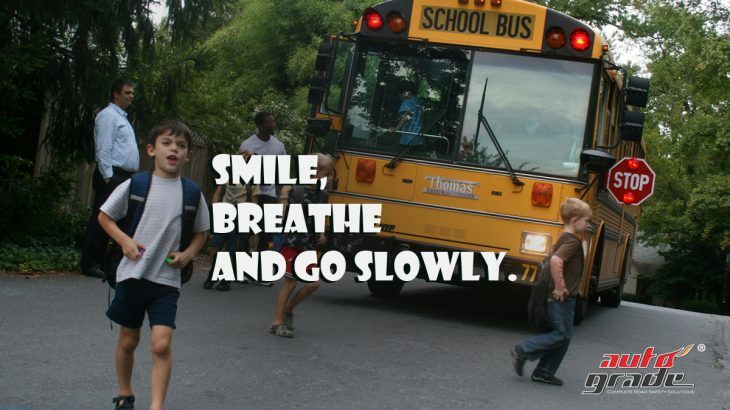 The CBSE has made speed governors mandatory in their school buses across India. The Circular says that ‘the school buses should be fitted with speed governors with a maximum speed limit of 40kmph’ (CBSE/AFF./Circular-8/2017 dated 23.2.2017). The measures to prevent road accidents include checking the design aspects like curves and median kerb height, reflective signage’s, filling up of potholes and patches, introduction of flexible safety rope barriers and other safety measures. Apart from making Speed governors mandatory in vehicles, government is making GPS tracking of vehicles mandatory as a step ahead on road safety. The Government of India had instructed on November 28, 2016 that all public service vehicles shall be equipped with vehicle tracking device and one or more emergency buttons (effective from April 1, 2018). The notification exempts two-wheeler, e-rickshaws, three-wheeler and any transport vehicle for which no permit is required under the Act. Autograde will continue to lead the efforts of making roads safer across the globe through its various Road Safety Solutions. It is the leading manufacturer of Speed Governors and Vehicle Tracking Devices. Autograde came into existence in the year 2007 under the name of Aasma Techno Products Pvt. Ltd, with its head office in Dubai, UAE.